Bahá’u’lláh has given me a long life to enable me to look back at some of the happenings in my life since I accepted the Faith in 1960. I am now 78 years old, and have lived 57 years of Bahá’i life. I could only thank Bahá’u’lláh for guiding me into the Faith much earlier in my life in 1962- during the Ten Year Crusade period. I am fortunate to have been an active participant in many of the activities since 1960, and a keen observer of several marvelous developments taking place in our country and abroad. I just cannot believe the way I was guided into the Faith. It is like a dream- but a dream of reality indeed! I was born on 7 March, 1939 in Rembau and shifted to Seremban in 1942. At a very young age I was a staunch temple-going Hindu, following my father’s footsteps. At about the age of 18, I started to feel a lot of discomfort within me. I felt there was a vacuum within me. I was pious and praying alright. But while praying to God as a Hindu, I often felt dissatisfied in religions. I started to develop thoughts that there were certainly much more than what I had learned from Hinduism. Thoughts such as why people were looking down on other fellow humans, especially the different races were cropping up in my mind from time to time. I also saw there was no unity, or sincerity in coming forward to help those downtrodden. What bothered me most was the question of why there were so many sects or divisions in the name of the same religions. Such agitations kept on cropping in my mind. I was restless. At the age of 20, I decided to investigate religious truths through different sources. I learned of Islam from my Muslim friends, Buddhism from my Chinese friends and Christian Faith from a one year correspondence courses from Singapore. But my asking several questions and not getting any satisfactory answer was the rule of the day. In about 1960, I used to get dreams about an old man with a white beard and wearing a head-gear. He looked very saintly, majestic and magnetic. At that time I did not know who it was. But at the same time I just could not forget the old man in my dream, though He appeared a few times. He left a deep impression on me. Something within me told me something was about to happen to my life. Then one fine evening I met a friend who asked if I was free. I said yes. He asked me to follow him but did not give further details. Since I was free I just followed him. He took me to what he called a “Fireside meeting” in Seremban town. When I reached the place, I saw there was no fire at all. But there were three elderly people sitting side by side. They were the late uncles Yankee Leong, K. Rajah and Poh Eng Siew. Uncle Yankee Leong was giving a talk on the 12 Bahá’i principles and the need for the complete unity of mankind. He continued to talk on the needs of the present day. As he was talking he seemed to be answering all the questions that had welled up in my heart all these years- the very answers no one was able to convey all along. That was indeed a great day for me. I was very much interested and they gave me a few Baha’i pamphlets and books to read and know more about the Bahá’i Faith. After that they invited me to come to a building at 333, Rahang Road. This was then known as the Bahá’i Centre. As I stepped into the Center, I was shaken to the very core of my heart as I looked up at a majestic photograph that was hung on the wall. I saw the photograph of the same saintly man with whiter beard and head-gear who appeared in my dreams. I thought I was in a dream world once again. To be sure I slowly tried pinching my hand. It gave pain, and so I was sure I was in the real world. I was asking how a dream could come so true, that too so fast. I pointed my finger to the photograph and asked Uncle Yankee who was in the photograph. He told me that He was Abdul Baha, the beloved Master and explained His station in the Faith. I felt there must be a reason for Him to have appeared in my dreams. There was no turning back. Almost every day I was at the Bahá’i Centre with the late Uncle Yankee, to learn more about the Bahá’i Faith. As I was coming closer to the Faith, Uncle Yankee told me, “Some of us are guided to the Bahá’i Faith; and some come in after investigating the teachings, but yours is quite an exception. The Master Himself has appeared in your dream and brought you into the Faith. Not all of us have Abdul Baha appearing in our dreams. Just think about that.” As I became clear that all my perplexities were answered, on 22 October 1960, I signed the in the declaration card accepting the Bahá’í Faith. As I signed I thanked Bahá’u’lláh for guiding me to this religion- a religion I was waiting for, and what I felt was meaningful for the kind of life I wanted. I signed up after high school, but still looking for job. When I became a Bahá’i, there were several youths around, with Satanam leading many of us. Major Harry C. Charles, who worked with the British troops in Seremban in early 1960s was himself a new Bahá’i. He encouraged us to observe fasting. I suppose Baha’ullah enabled me to grow fast in the Faith so that I could serve effectively. Many responsibilities were placed on my shoulders immediately after accepting the Faith. I served on the Local Spiritual Assembly at Seremban for several years. After getting sufficiently well informed on the teachings I started to conduct deepening classes for several youths. Isaac and I served on the early Local Bahá’i Youth Committee. L-R- Mariappan, Annamalai, Isaac, Major Charles with Nit Singam extreme left. During the years we used to go to Malacca. The Paul brothers were there, along with the late Uncle Leong Tat Chee, Vasudevan, Bhaskaran, Anthony Louis and Peter Raymond. They deepened us in the Faith. They too used to come over to Seremban on weekends to deepen us. Their constant advise was for us to spread the Message to as many as possible. During those days we were blessed by the visits by prominent Bahais from overseas. They brought new spirit and knowledge and shared with us. I had the greatest bounty to have met Amatul Baha Ruhiyyih Khanum at the Chinese Assembly Hall in Mantin, and at the Sunshine Camp in Port Dickson during her first visit to Malaya in 1961. I met her again at the National Convention in Kuala Lumpur in 1964. The other Hands of the Cause of God I met were Tarazullah Samandari, Collis Featherstone and Dr. Muhajir. These Hands of the Cause had a great spiritual impact on me. Mr. Payman and the Fozdar family members too did inspire me during my early days. When the late Leong Tat Chee used to travel to the East coast to teach in Terengganu, Kelantan and Pahang, I too was taken along. Following them was a good experience as I learned to teach the Faith, and in the process got deepened as well. Throughout the onward and return journeys my soul was simply flooded with knowledge of the Faith through continuous discussions from the writings. I became the first local travel teacher in the Seremban area. During a Youth Conference at Seremban, I volunteered to travel teach in Perak areas, covering Teluk Anson (now Teluk Intan), Sungei Siput and Kuala Kangsar for a few months. At times I contacted Chinese Associations where my new-found friends gave me shelter and food. A Chinese family even washed and ironed my clothes. They became interested in the Bahá’i Faith. It is simply unbelievable how unknown people come to my assistance when I placed my whole trust in Bahá’u’lláh. I remember in those early days many of us had only basic education, and had the barest of facilities. We used public bus for transport to distant places.We used our own bicycles for moving around. Having bicycle was already a luxury in the early 1960s. Later some friends could own motor cycles. We used to become pillion riders and shared the Message all around Negeri Sembilan state. Although we had limited resources there was one common factor that pushed us to beyond the limits-“The Bahá’i Spirit”! We worked hard and moved together in unity as a team. These days I can see many are highly educated and having best facilities to move throughout the entire country. We all moved as ONE BIG HAPPY FAMILY in those days. We had elders like Yankee Leong, Poh Eng Siew and Lily Ng. 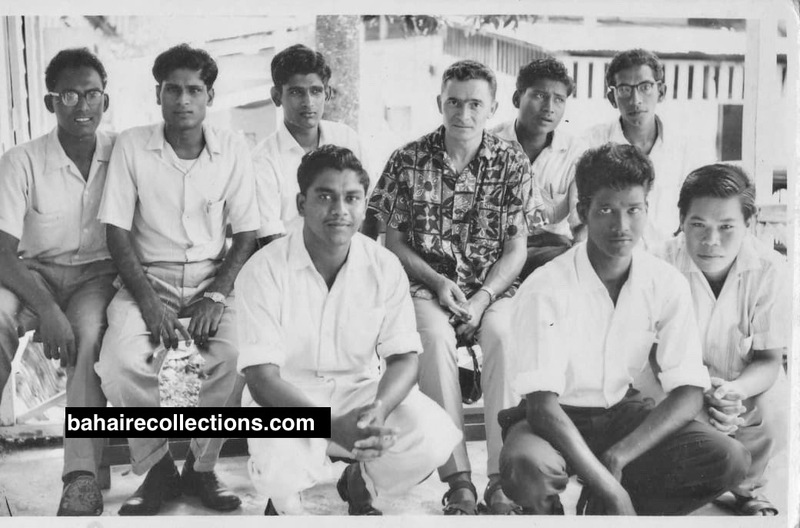 Some of my peers were the late S.Satanam, late Sabapathy, late Jack Tan, Isaac De’ Cruz and his wife Pauline De’ Cruz, Nit Singam, K. Krishnan, and Annamalai. 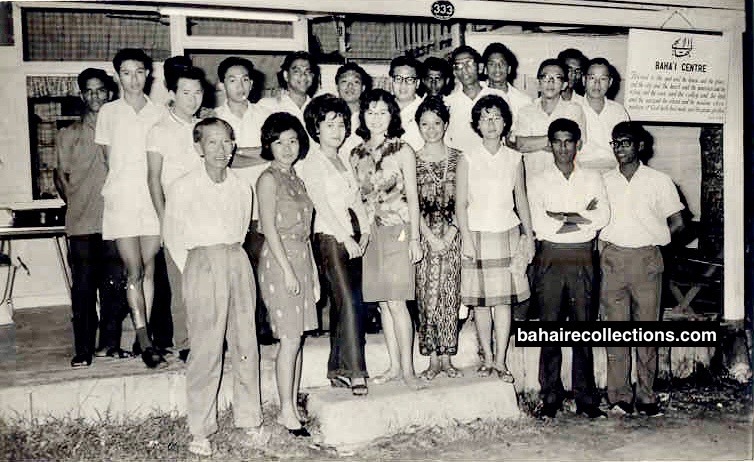 Later came in Lawrence Ng, Yong Siew Kang, Phang, Johnny, Mrs. Christie, the Kan Ho sisters, Jenny Wong, Cecelia Ng and Maggie.There were several other Chinese and Indian youths, boys and girls. 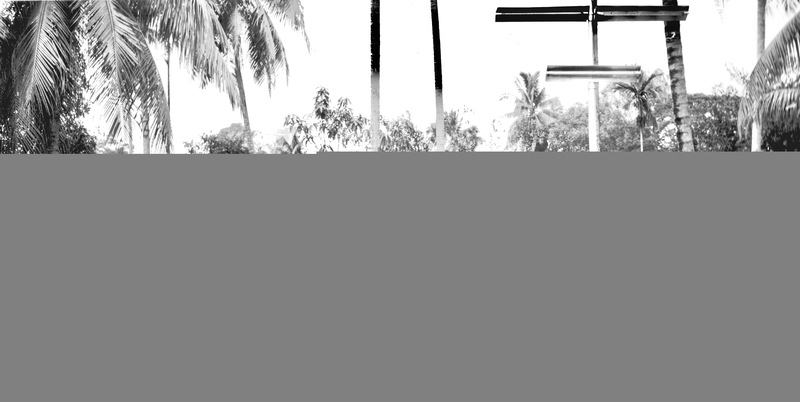 Seremban had always provided the manpower for the national needs- in almost all fields. Most of these Bahais used to travel to several towns and estates in and around Negeri Sembilan whenever calls came. Many also had personal initiatives and moved around for teaching even when there was no call. 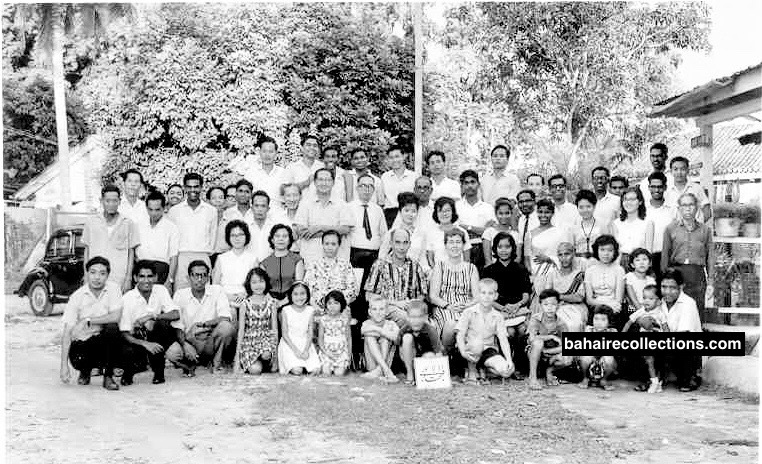 Through such constant teaching efforts carried out for several years many people accepted the Bahai Faith in the towns and villages and estates in Negeri Sembilan. Of those youth who accepted in Seremban town I am proud to see children from the families of P.E. Kumaran and Mr. Bachu doing well. Mr. P.E. 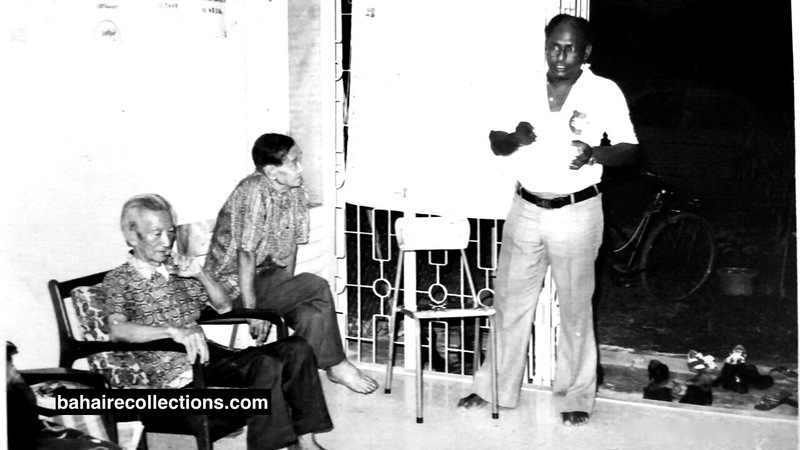 Kumaran’s family members were a dynamic set. The children of P.E. Kumaran are Shashi, Sathy, Suguna, Suresh, Navin and Prem, while those children of Mr. Bachu are Richie Anand, Nalinee, Uma, Jega, Sooriakanthan and Roshini. Most of them are serving the Faith here and elsewhere. The yester-batch of Seremban youth made us proud in so many ways. They organized large scale conferences and were in the forefront of all major activities. When the Rose of Ridvan Challenge Trophy was introduced by the National Bahá’i Youth Committee the Seremban youths won the coveted trophy. Many outstation Bahá’is came and stayed in Seremban for some years. Some of them left Seremban after a few years. They too assisted in building the community. 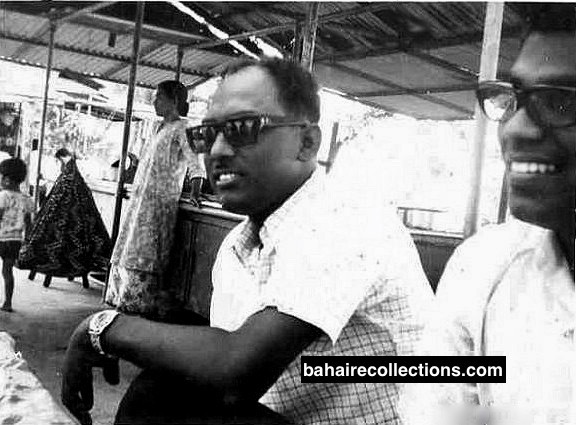 One of them was N. Nagendran who came into Seremban from Kuala Pilah in 1969. He was involved in a wide range of dynamic activities. Both of us teamed up well to go for teaching trips, especially into the estates. The Summer Schools were my favorite of all Bahá’i gatherings. It was at these summer schools that I got a glimpse of what the future would be. There was so much spirit, love and fellowship generated at these summer schools. We had learned speakers from within Malaysia and abroad to guide us deeper into the Bahá’i writings and teachings. As far as possible I never missed them. 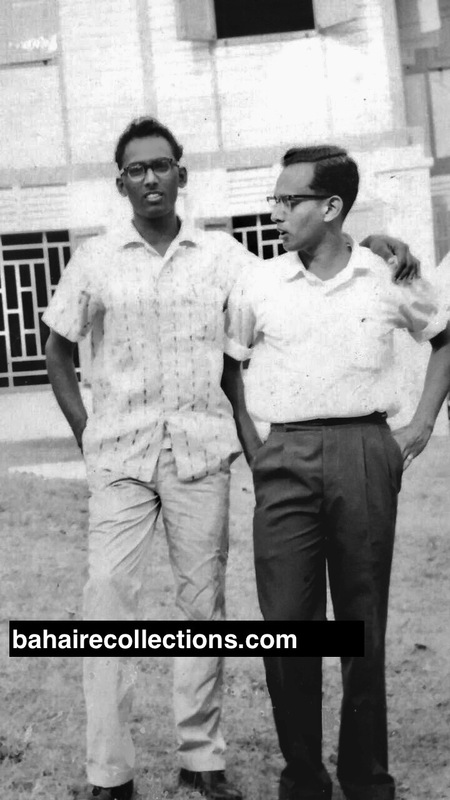 The fifth Summer School brought to the very doorstep of Seremban and held at the Vivekandanda Hall in August 1962 was very special to me. About eighty believers and ten enquirers gathered for this summer school. There were inspiring talks, panel discussions, workshops and group consultation covering the history, administration and teaching. 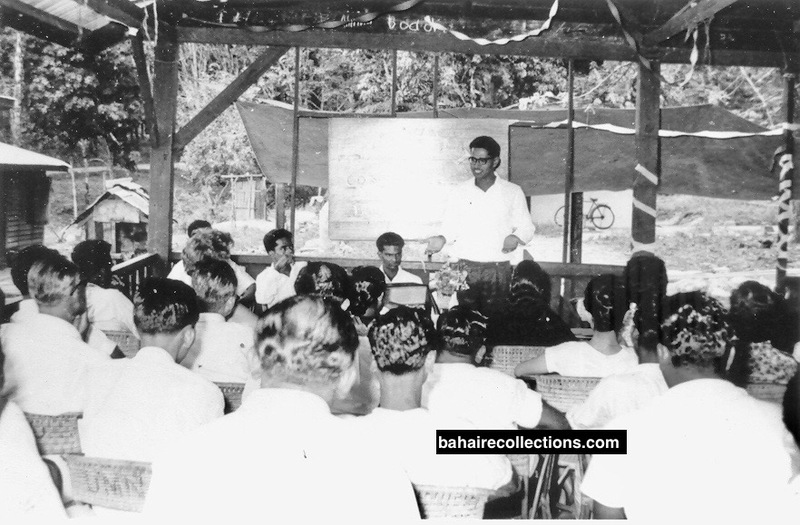 Summer School held at Vivekananda Hall in Seremban,1962. That was the first and the only time a Summer School was held at the Vivekananda Hall in Seremban. I remember the participants were taken on field excursions to witness mass teaching. I tried attending as many summer schools as possible all my Baha’i life. 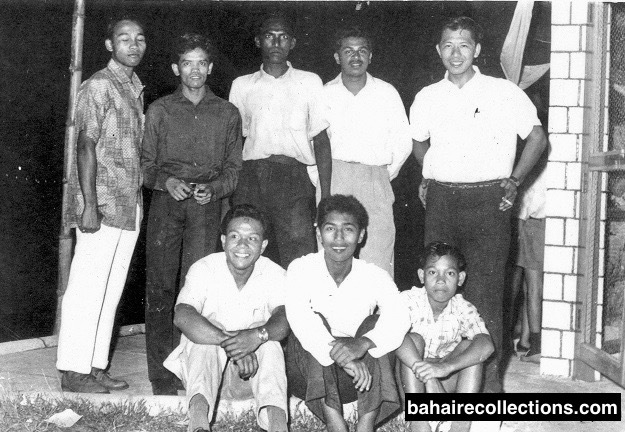 Negeri Sembilan state had a good concentration of Bahais from the Orissa community. One was in Bahau area and the other in Ulu Pedas area. We concentrated on the Ulu Pedas area as the Orissa people there were very recipient to the Faith. From Ulu Pedas Estate and Rembau Estate several youths arose. Among them were Ringoh Rengadar, Rukumani, Borno Dass, Mathos, Ruhito and several others. Some moved into Seremban while several others left for pioneering overseas for short and long terms. 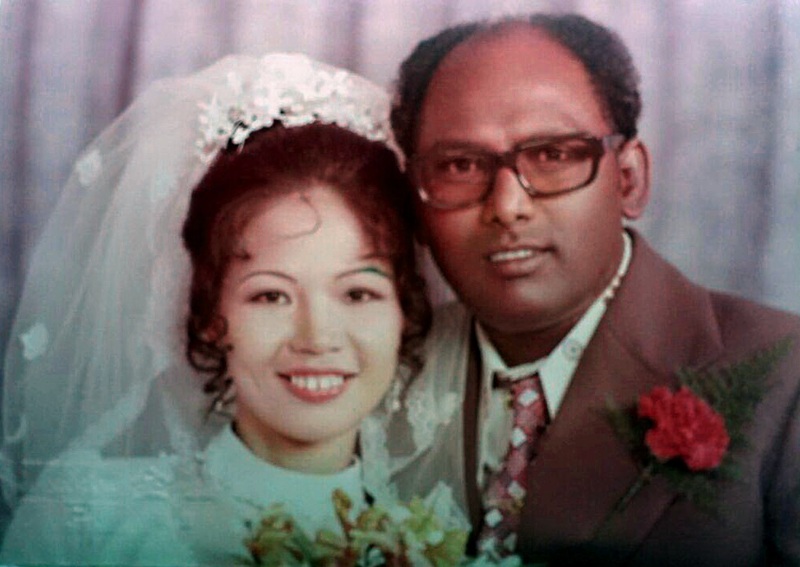 Some Bahais of Seremban even married and settled overseas. Today we also have a Bahá’i from the Orissa background serving on the national institution. I also remember from Seremban many youths even made special trips to the jungles in Perak and taught the Faith with love and kindliness to the aborigines, spending days with them. Several Asli friends had come to Seremban Bahá’i Center for training from the early days. They have become part of our one big happy family and today a member from that lovely community is on the national institution. I feel so proud that today some of our youths are even married to Asli girls. We have really become one true family- all because we have Bahá’u’lláh as our Heavenly Father! I saw some inter-racial marriages taking place in the Bahá’i community in Malaysia and felt very proud and happy that a new race of men was being produced from these marriages. Little did I realize that Bahá’u’lláh had destined inter-racia marriage for me as well. On 21 December, 1975 I married Jenny Wong Swee Yin. That happened to be the first public wedding according to Bahá’i religious rights to be conducted at Seremban Town hall at that time. At the inauguration ceremony of the Lotus Temple in India in 1986, God blessed me with a beautiful incident in my life. One day during rest time, I walked out to the steps and was resting with an uneasy thought at heart. Suddenly beloved Amatul Baha Ruhiyyih Khanum came and inquired where I was from. Before I could answer she touched the Name Tag that I was wearing. As she touched her fingers touched my chest, and suddenly I burst out with emotion and within that fleeting moment I felt much better. All my agonies disappeared. A thought flashed in my mind. Association with the Godly would bring one only happiness. Several Seremban Bahais saw this incident and approached me to asked why I was in such an emotional state. I just could not say anything. To me she was the most motherly figure I had met. The spiritualization courses by Jack Davis held in a Public Center in Seremban in 1989 was another watershed in my spiritual life. While we were all reading from the books, he tailored the courses in such a way that he made us feel a very minute fracture of the sufferings of Bahá’u’lláh. We expected only 30 Bahais, but to our amazement 149 people came in. Mr. Jack Davies commended that this was the biggest and most successful gatherings held so far in Malaysia. The spiritualization courses made me feel the tremendous spirit in the Faith. In May 1994 I retired from Telecommunications Department in Seremban, but continued working as Logistics Manager at a private telecommunication company in Kuantan. I continued serving in the Local Spiritual Assembly of Kuantan for three years and carried out teaching the Faith in Kuantan district areas in the company of the Kuantan Bahá’is. We even covered wider areas like Mentakap, Temerloh and Kuala Lipis. This was the time I was appointed as an Assistant to Auxiliary Board Member for two years. Then I worked as security manager in Kuala Lumpur. In 1998, I was back to Seremban and continued working at a Fire Protection Company until 2014 when I reached the age of 75. My wife and I had tried to live a good Bahá’i life to the best of our ability in our own humble ways. The victory for the Faith comes only when the outsiders call us good people. It is not proper for us to blow our own trumpets, but we feel it is a victory for the Cause of Bahá’u’lláh when others praise us. During our stay in Kuantan, and visits to Sabah and Sarawak we received some good appreciations from outsiders. While in Kuantan the officers in Kuantan Airport commented that we were of an ideal family. Then again in Sabah and Sarawak some outsiders with whom we had dealings also commented, “You are of a very different personality.” To that I told them that we are Bahais and we love everyone as our own family members. If no race, class, or religion divides us, then we have made it big in community life. When dealing with the outside world, we must believe and put to practice that all human beings are one and the same, though from different religious or cultural backgrounds. Non-Bahá’is should identify and recognize us as a unique people altogether. Our faces should always be radiant and reflect the love of Bahá’u’lláh. These were many of the thoughts we would like to share with all the Bahais. 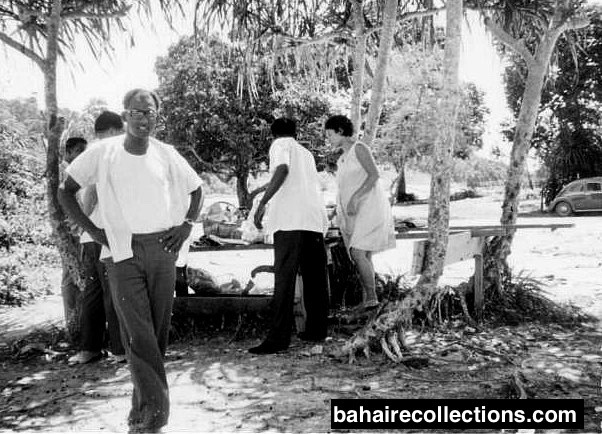 During those early stages the growth of the Baha’i Faith was different. We had to spread the Teachings to individuals or small groups. But the whole concept has been changed since the coming into existence of the Universal House of Justice in 1963. With the coming into existence of this Supreme Body which the Guardian calls the last refuge for a tottering civilization, we as Bahá’is have to seek shelter in this Ark. The safest is complete obedience to anything that is said by the Universal House of Justice. There should be no intellectual arrogance, but only total submission. Today I am 78 years old. I have lived long enough to participate and speak at the 5oth Anniversary of the Faith in Seremban held in NUBE building in 2004. Several of the Bahais who started with me are no more around. I thank Bahá’u’lláh for giving me such a long life, full of rich experience in the Faith all these years. My heart is impregnated with blissful joy to see the Faith having grown in leaps and bounds! I have witnessed wonders after wonders, miracles after miracles! This is the resistless Faith of God that can never be dimmed by any force on earth! I am still carrying on with life with eternal thanks to Bahá’u’lláh.